The environmental benefits of hemp are simply amazing. Hemp is one of the world’s oldest crops. It also happens to be one of the most versatile. From plastics to paper, the hemp plant provides a way to live in harmony with the environment and the ecosystems that support it. Just to give you an idea how far this plant can take us, here are 15 amazing ways hemp can be a game-changer for planet Earth. Did you know hemp is naturally resistant to pests? Unlike cotton or flax (which are estimated to consume 50% of all pesticides) growing hemp does requires fewer pesticides or herbicides. Hemp can grow in a wide variety of terrains and soil types. It forms deep roots helping to hold the soil together. This in turn prevents soil erosion. In fact, hemp also increases the microbial content of the soil. And the incredible benefits don’t end there. Considering the United States' recycling rate for plastic is only 23 percent, there is room for improvement to say the least. Soil sustains life. The plants that feed, clothe, and house us originate from the earth. Yet we’ve become increasingly detached from this basic human need. Meanwhile, man-made waste has contaminated soil across the globe. Both our planet’s health and our personal health are under duress, and the need for change is imminent. It has already been proven that hemp can eliminate toxins from the environment. Hemp is so effective at absorbing toxic materials it has even been considered for removing radiation from Fukushima. Hemp is good for the soil in more ways than one. Hemp converts to biodiesel at a 97 percent efficiency rate. It also burns at a lower temperature than any other type of biofuel. Plus, when burned in a diesel engine, hemp eradicates the exhaust odor of petroleum with the pleasant smell of hemp. Did you know the majority of synthetic fibers we use today are manufactured from polymer-based petrochemical materials (AKA highly toxic materials)? Producing these synthetic materials requires an energy-intensive process, burning large amounts of gas, coal, or crude oil. If that wasn’t enough, this type of manufacturing process releases toxic emissions into the air while also leaving toxic residues within the fibers. Not exactly a pleasant notion. Industrial hemp has the power to transform the environment. Hemp is unique in that it is one of the few crops capable of reducing carbon emissions through rapid carbon dioxide uptake. It does this through a process known as carbon sequestration. When cultivated, hemp actually captures carbon emissions from the atmosphere. Essentially, hemp helps sequester or “trap” carbon from the air into plants. For every ton of hemp produced, 1.63 tons of carbon is removed from the air. Deforestation is increasing across the globe at alarming rates. Scientists now believe the rate of deforestation equates to a loss of 48 football fields every minute. Within 100 years, it is estimated there will be no rainforests. Shamefully, the United States has less than 5% of the world’s population but consumes more than one-third of the world’s paper. Hemp can easily replace trees as the source of raw material for wood and paper. Once acre of hemp can produce as much paper annually as four acres of trees. While trees take years to mature, hemp can be grown and rapidly reproduced within months. Hemp paper is also more durable than paper produced from trees. Why is it taking the world so long to fully embrace this plant? Did you now soil compaction and erosion are some of the biggest problems plaguing farmers today? This is particularly true for farmers within the Midwest who depend on two staple crops – soybeans and corn. Corn contains a deep and fibrous root system that penetrates the ground deep below the surface. Over time, these roots can lead to soil compaction during the winter and spring. Soybeans also have a strong root system but do not penetrate below the topsoil. As a result, soil erosion can frequently occur. 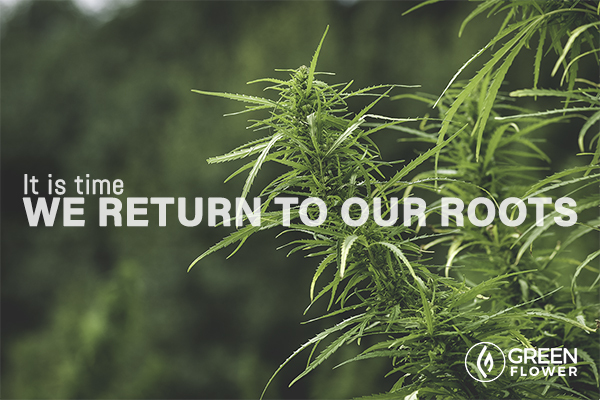 The use of the hemp plant can extend into every aspect of our lives – including our homes. Fiberboards made from a hemp-based composite are stronger and lighter than those made from wood. Not to mention the combination of hemp and lime (hempcrete) results in a soundproofing system and insulation superior to that of concrete. Hemp homes are also shown to have incredible durability. One hemp home in Japan is estimated to be over 300 years old! If we're smart about this, hemp homes will be the future of green living. Should we choose to ignore this reality, these problems are likely to increase even further. Meanwhile, hemp can break down pollutants and improve air quality. Hemp can even be used as a paper source, eliminating the need for chlorine bleaching – a direct cause of excess carbon dioxide in the environment. Imagine if there was a crop that could be cultivated almost anywhere in the world. In fact, this crop required zero pesticides and could produce over 25,000 products. Better yet, this crop could mature within months and keep producing for years to come. Surprise – that crop is hemp. Hemp is an incredibly durable plant. While hemp thrives in a mild climate and humid atmosphere, it can survive almost anywhere. 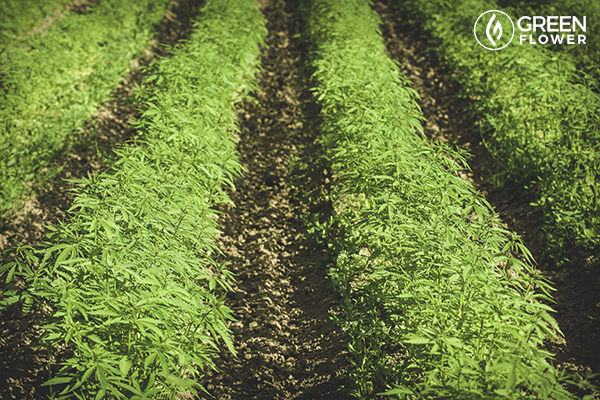 From China to Colorado, hemp can grow in a broad range of climate types, which means hemp has the potential to be sourced locally. 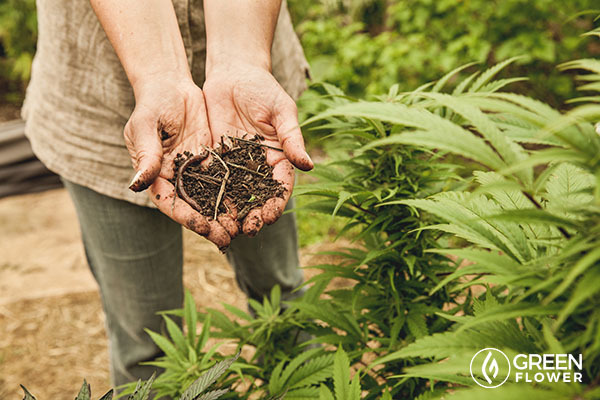 A source of food, income, and more – hemp farming could change lives for the better. Hemp can also lead to more sustainable farming, which in turn will bolster local economies while having a positive impact on the environment. 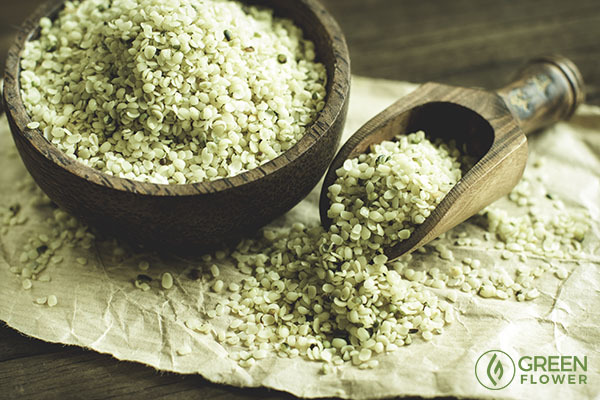 Hemp seeds are the new superfood! Green Flower sits down with the leading CEOs, innovators, policymakers, entrepreneurs and experts shaping the future of hemp. Do you think the world will fully embrace hemp? Which Legal Cannabis State Has the Best Model?